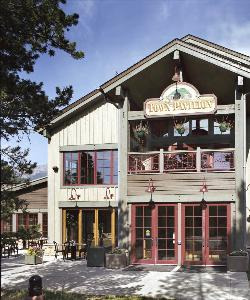 The Silverthorne Pavilion is one of Summit County's premier banquet and performing arts venues and a proud community centerpiece for the town of Silverthorne. In addition to community events, such as concerts, music revues, dances, wine tastings and comedy shows, the Pavilion also hosts many private functions, including weddings, family reunions, and birthdays. The Silverthorne Pavilion is open year-round for everyone to enjoy. For more information on weddings or private rentals, please call 970.262.7390.